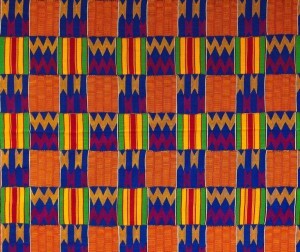 An example of brightly-colored Kente cloth from Ghana is shown above and in the background of this website. 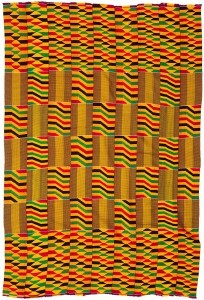 The word “kente” comes from “kenten”, a word for a woven basket. 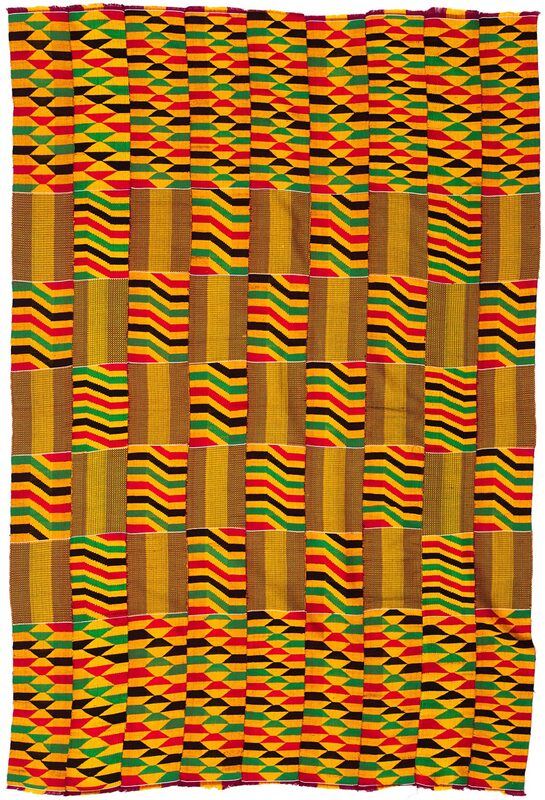 Kente cloth, also called nsaduaso or nwontoma in Ashanti (it means “cloth and-woven on a loom”) is more than just hand-made cloth; it is a powerful cultural symbol, a representation of history, moral values, and esthetic principles. 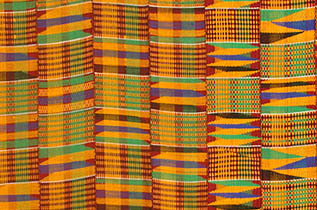 Kente cloth comes in many patterns. 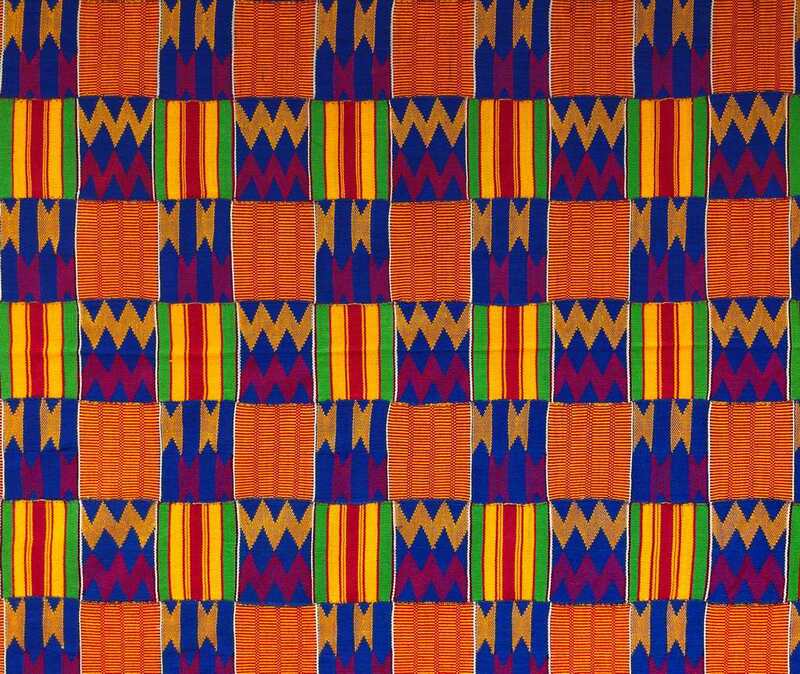 A pattern may be traced back to a particular weaver, and may have a traditional meaning and story behind it. The pattern shown here is called “adwinasa”, which means, “all patterns have already been created”. 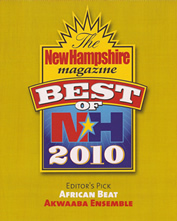 This weave unites many traditional patterns together to create a new one.